The number of people interested in learning to speak and understand Arabic has grown significantly during recent years. Many reasons account for this growth in interest. More people are doing business in the Middle East and countries surrounding the Mediterranean. Interest in studying and travel in the area has increased dramatically. Immigration has also made personal relationships with individuals from this region more common, and many non-Arabic speakers express an interest in learning that languages and cultures of the various countries. For Arabic classes London residents are encouraged to get in touch and find out about the courses we offer. Levantine Arabic – one of the main dialects that is spoken in Syria, Lebanon, Jordan and Palestine. It is closely related to the ancient Aramaic language. Egyptian Arabic – this dialect is considered the most widely understood in the region, mainly due to the influence of Egypt in the region and the prevalence of the country’s television and movie industry. Gulf Arabic – another main dialect that is prevalent in Saudi Arabia, Kuwait and the Emirates. It is considered most similar to Modern Standard Arabic. Iraqi Arabic – a dialect that is distinct from other forms of Gulf Arabic, but with some similarities. Modern Standard Arabic – considered the main dialect that is used primarily in written and spoken news, as well as other communications. However, it is not used conversationally. Maghrebi Arabic – a dialect spoken in North African regions that is heavily influenced by both French and Berber. Which dialect you should choose depends a number of factors that relate to how you plan on using the language. If you are learning Arabic for a spouse, you should choose the dialect that they use so you can communicate together more easily. This choice will also facilitate speaking with his or her family members and will make traveling to the spouse’s home country more enjoyable. If you are learning Arabic for business reasons, you should choose the dialect of the region in which you will spend the most time. 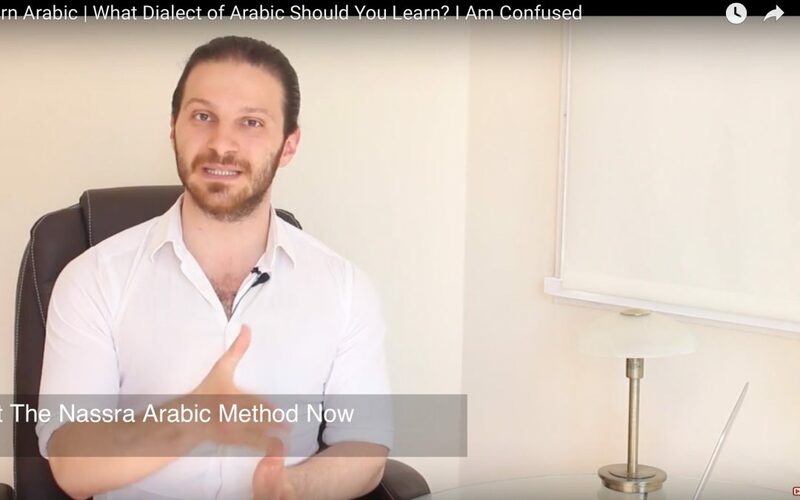 If you will be traveling widely across the Arab world, it may be a good idea to concentrate on Modern Standard Arabic, with some understanding of one of the other dialects to provide a broader ability to communicate in specific nations. Individuals with a particular interest in one country in the area should investigate other dialects that may be helpful to them. Once you have chosen a dialect, you can begin your journey in becoming fluent in it. Individuals who have learned Arabic agree that choosing a dialect is a helpful means to understanding the language as a whole. For Arabic classes London residents can find an experienced teacher in the dialect in which you are interested. You should try to immerse yourself in the dialect whenever possible, even though it will be difficult, at first, to understand what others are saying. Also, we recommend using the language as much as possible from the very beginning, no matter how bad your grammar or pronunciation is. You will learn by making mistakes, and immersion is the best way to become confident in a new language. For an Arabic tutor London residents can rely on expert language skills and a high level of educational ability to assist them on their path toward mastery of the language. If you would like to learn Arabic in London, contact our office for information on the dialect of your choice.